The Regenerative Hot Stone Massage is a combination of Hot Stone and Custom Massage (Shiatsu, Lomi Lomi, Swedish…) These techniques are used, to tailor the massage towards your personal preferences and specific needs. Before the massage, don’t be shy in communicating your goals of the massage – such as a relaxation or relief of tension. During the massage, tell Yuko if you find a particular style or the degree strength you like or dislike. 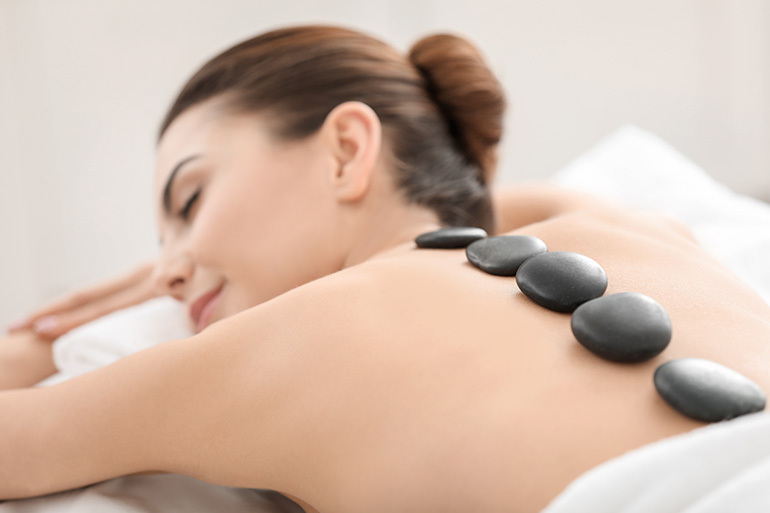 Hot Stones helps to release muscular tension and Shiatsu uses deep “finger pressure” points for overall stimulation.